Rohingya Muslim insurgents ambushed a military vehicle in Rakhine State, wounding five members of the security forces, Burmese state media and officials said, and the rebels claimed responsibility for the rare attack. A wave of raids by the insurgents on security force posts on 25 August sparked sweeping army counter-insurgency operations in the Muslim-majority north of the state that led to widespread violence and arson and an exodus of some 650,000 Rohingya villagers to neighbouring Bangladesh. But since 25 August, the Arakan Rohingya Salvation Army (ARSA) insurgents, who claimed responsibility for the coordinated raids on 30 security posts, have mounted only a few sporadic attacks. 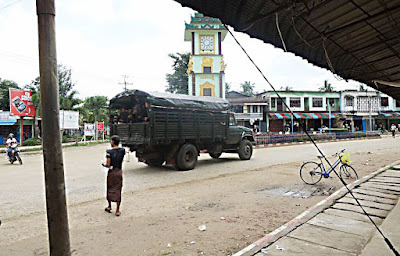 The military said “extremist Bengali terrorists ARSA” carried out the Friday attack on a truck taking someone to hospital. “A vehicle … was attacked by 20 insurgents from the mountain using homemade mines and small arms,” the government said. The military said there were about 10 attackers. An ARSA spokesman said his group had carried out the attack. “Yes, ARSA takes responsibility for the latest military movement,” the spokesman told Reutersthrough a messaging service. He said further details may be revealed later. The Yangon-based Frontier Myanmar magazine quoted a resident of a nearby village as saying sporadic gunfire had been heard at the time of the ambush. A state-run newspaper reported on Saturday that fighting continued after the ambush. Burma and Bangladesh have been discussing a plan to repatriate the Rohingya refugees but more insecurity in Burma is likely to raise doubts about how quickly that might take place.